Every business on the planet uses marketing. It doesn’t matter whether they are a multi-billion dollar enterprise or an SME – they have to advertise. But, not every business is good at marketing. In fact, some are plain awful at it. 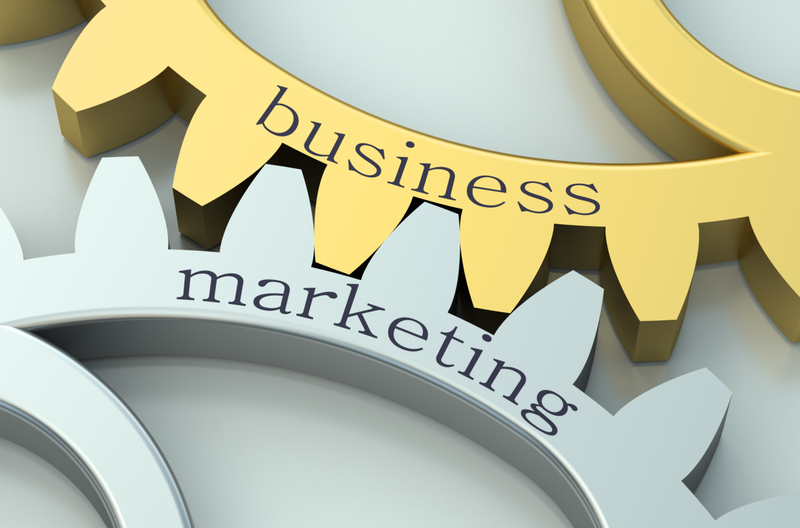 Obviously, no business wants to be bad at marketing because it affects their bottom line. If your business is good at marketing then you are better at reaching your target audience, which increases your chances of business success. Marketing is important to every business out there. So if you are not good at marketing, the key is to understand what you are doing wrong, and then try to improve it so that the business does better in the future. Improving your marketing efforts and skills may sound a little abstract, but it is quite straightforward if you follow the correct methods. Are you looking to become a marketing whizz kid? If the answer to that question is yes, here are some ways that you can find out everything you need to know about marketing your business. The best way to get better at any skill is to learn as much as you can about it and keep learning. Education is key because it teaches you all about the components that you need to know to be successful. Education will show you how to perform basic tasks that will revolutionize your ability to market your business. And it can take as little as twenty to thirty minutes each day if you plan ahead. That isn’t much of an investment when you are improving upon yourself and your business. So, what are the best ways to improve your education and knowledge? Well, there are a few options at your fingertips, but the simplest is by conducting research. A quick Google search will provide you with all the information that you will ever need. And, it takes less than a second to find. Alternatively, you can read a book. Yes, those manuscripts of dead trees still exist, and they still contain masses of invaluable information. There are a ton of great books on the subject too! The key to effective research is to understand what you need to research and why. In this case, your research centers on improvement, so you might want to look at the latest marketing methods. Or, you may want to look at the tried and tested methods and see if there is anything you are doing wrong. Another way to learn and educate yourself about marketing is to participate in some kind of training like a webinar, seminar or even a conference. These types of training are hosted by experts that have years of experience in the field and they will have a great track record of providing results. In the space of one day, you can learn more about marketing with these pros than in a week’s research. You can learn about every technique from SEO to email marketing. Conferences are great to attend too as it provides you with the opportunity to network and speak to people that have had similar problems as yours, learn various solutions to marketing problems, and as ask questions. If you are looking for some ideas on training courses you can find additional info at www.marketmotive.com/email-marketing-training-courses. Training courses and doing research are great, but nothing beats asking for advice. At the end of the day, the people that have already gone through what you are experiencing can be valuable resources. All you have to do is ask. I do recommend that you first build a relationship with the people that you would like to ask for advice. It should be give and take, and not all take when approaching others. You can engage with people on social media, share their content, offer comments or answer other people’s questions first. Then ask for some advice. Some may say ‘no’. If that happens it is ok – don’t take it personally. But, if they say ‘yes’, be appreciative and be sure to thank them for their time. You should never go anywhere in business without a plan. The adage is that a plan is integral to your success, and that is still true even today! A good plan is a reference point that allows you to see where you are going and how you are going to get there. Think of it as a map that will navigate you all the way to marketing success. When you write down your goals and understand what you want to achieve, you are more likely to achieve them then those without a written plan. Take a look at http://www.entrepreneur.com/article/228220 to find out the benefits of a proper plan. For some reason, there appears to be a tendency in the business world to put a marketing plan into action and then never quantify it. Or, even worse, there is a tendency to quantify the results based on a gut feeling without any statistical analysis to back it up. The only way to get better at a skill is to learn from your mistakes. But, if you are not aware of your mistakes in the first place, then there is no way you can improve. By using solid stats and data, you can see whether your campaign was a success or a failure. Better yet, you can see why it was successful or not successful. Although they are your competition, they are still your peers. And, it may be hard to admit, but they may be better at some aspects of running a business than you are. If they are better at marketing, there is nothing wrong with trying to work out what makes them good or better at it than you. That does not mean that you should copy their strategy word for word. But, you can take the foundations of their success and apply it to your business. And, because they compete in the same sector you, it should not be hard to see what differentiates them from you. I also recommend making lists of your competitors on social media and take a look at what they say and how they respond to their customers. There may be an opportunity to step in and help people out if your competitors don’t respond to problems. If you know something works, use it as a framework. That is not to say that every marketing campaign should be the same because they should not. You will still need to change it up to keep things fresh to some degree. Look at past successes and see what made them work and apply that to new campaigns. When you look at your campaigns, you should be able to spot a pattern. That pattern is the key to your success. Previous Is A Career With The Police Right For You?